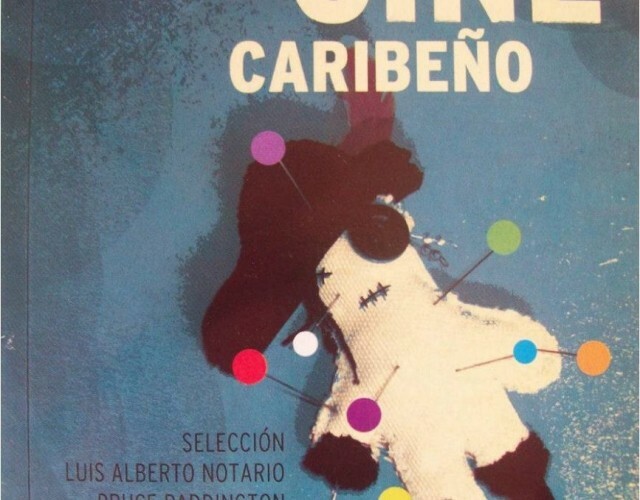 Explorando el Cine Caribeño is a pioneering and fascinating exploration of Caribbean cinema, bringing together in one volume various essays, written in or translated into Spanish, on film and documentaries, as well as on the process of film production, in the broader Caribbean region. Caribbean film has long been an ignored area, not only by Film Studies but also within Caribbean Studies. A fairly young area of visual culture, Caribbean film and documentaries have been struggling to find both a regional (intra-Caribbean) and an international spectatorship. However, the contributors show that this is also an area which deserves scholarly attention, and that Caribbean filmmakers are likely to gain visibility in the near future. They make the case that this is also an area which deserves scholarly attention, through scholarly analyses of selected films and documentaries produced in the Caribbean. They do so by paying ample attention to the cultural context(s) and/or tradition in which these productions have emerged. All of the contributors have a Caribbean background and are active in a fairly wide range of professions, usually in the field of the arts. Most of them are scholars focusing on Caribbean culture or art; other contributors, such as Rigoberta López (Cuba), Ana María García (Puerto Rico) and Arnold Antonin (Haiti) practice the art of making documentaries or film; one contributor (Rita Estevanovich from the Cayman islands) performs as an actress; others, still, such as Tanya Batson-Savage (Jamaica) and Joel del Río (Cuba) are both art critics and journalists. Since this is one of the first volumes on Caribbean film from a pan-Caribbean perspective, including the so often forgotten Guyanas and Dutch Antilles, the publication of the book sets a landmark in Caribbean Studies. Published by the Cuban Institute for Cinematographic Arts and Industries (ICAIC), the book analyzes film and documentaries produced within and beyond the broader Caribbean region and Caribbean diaspora, roughly during the second part of the 20th century. Caribbean visual culture has rareley been approached and analysed from a broad, pan-Caribbean perspective: the essays offer an original focus on film-makers from the different linguistic parts of the Caribbean as well as a deeper understanding of Caribbean reality through “close-ups” on films and documentaries in four different languages. The book is structured in seventeen essays divided in five sections: the first section is titled “miradas” (“views”) and consists of four crosscultural and theoretical views on the broader Caribbean; each of the the four remaining sections focuses on one particular linguistic area of the many “Caribbeans”: the anglophone, the Dutch, the francophone, and the hispanophone Caribbean. As the editors stress from the outset, each contributor has his/her own definition of the Caribbean, thus celebrating the diversity of Caribbean culture. They also pay attention to the trans-national/territorial, trans-lingual and diasporic connections that make it possible to speak of a “Caribbean culture” in a broad sense. As one of the major historical diasporas, Caribbean culture cannot be conceived in purely geographical terms. Albeit in a limited way, the book addresses important contributions of Caribbean film made in diaspora, for example Ana María García’s essay on Puerto Rican film and video “Made in USA”. Nancy de Randamie tackles the complex relation between Surinam and the Dutch Antilles on the one hand, and the Netherlands on the other, whereby the latter deeply influence the former. The first section, “Miradas,” discusses how images on the Caribbean have circulated across the globe since its first visual representations in early texts. In sharp contrast to the stereotypes and exoticism of the Caribbean reproduced time and again by foreign studios is the often dystopic image of the “real” Caribbean as riddled by social inequality and political fragility. Since the early documentaries to the Hollywood blockbusters filmed in the region, the imposition of the image of the Caribbean as the exotic film location par excellence, as a group of fantasy islands where pirates and coconut trees abound, unfortunately did not bring any historical awareness to the spectator: traumas such as slavery, for example, were not at all addressed, or faded into the background. While most films represented the Caribbean as an exotic scenery, often with a fascination for vodou and black magic (remember the famous “Bond movie” Live and Let Die, 1973), an exception to that rule, Bruce Paddington notes, is I Walked with a Zombie (1943): the movie establishes a critical link between the history of slavery in Haiti and the process of zombification, and sketches a positive portrait of black slaves within Haiti’s complex racial landscape. The essays in the remaining four sections deal with very different topics in various linguistic areas, but also with problems common to film production in the region. Several contributors describe the lack of proper infrastructure and funds to secure a consistent distribution (and translation) of Caribbean productions both on a regional and international level. Many productions, for example the award winning Rue Cases-Nègres (1983) directed by Euzhan Palcy (Martinique), were made possible by funds and support provided by French institutions. Of course, the problem of (postcolonial) dependence is not new. In a global network of (trans)national dependencies, however, it has become increasingly hard to define this as a typical (post)colonial problem, given that transnational networks and interest are what most define film production today. Another problem addressed in the book is the lack of colaboration on intra-regional projects, in a fast moving world where transnational productions are increasingly common. The disparity in access to resources (for instance, between Haiti and Trinidad and Tobago) and the lack of common efforts to create a common film tradition (including a common Caribbean Film board) among the different parts of the Caribbean is arguably one of the major obstacles to be overcome. On a more positive note, there is a consensus among the authors that the emergence of new technologies is unmistakenly helping to create new opportunities for filmmakers, especially for those on a limited budget. Once an expensive undertaking, a high quality production can now be achieved using relatively low cost and more accessible technologies and software. This technological revolution is also positively affecting a minor film genre: animation (a genre with some tradition in Cuba, thanks to ICAIC’s Juan Padrón, and with an important potential for development in the broader Caribbean). Unfortunately, animation’s importance is not addressed in the book. The lack of previously published comparative studies on Caribbean film can be an obstacle both for academic and non-academic readers: for most readers, this book will be the first encounter with Caribbean filmmakers and film production. Hence these artists and films need to be introduced to them, and their emergence needs to be contextualized. Fortunately, the editors and contributors of the book are clearly aware of this problem, and it is part of the pioneering character of their exploratory project: most of the contributors were careful to include in their essays a quick historical overview of key personalities, influences and trends in their particular local tradition. Moreover, many essays are based on archival searches and include interviews with film makers, thus laying the foundation for further research in the field. Especially important here is, I believe, the extensive essay on film production in the Dutch Caribbean, still an understudied area within Caribbean Studies; but the same goes for Rita Estevanovich’s contribution on the Cayman Islands, also terra incognita for most Caribbeanists. While the book’s main strength is to deliver its promise to explore film from the broader region, it would have been nice to see its scope extended to more “continental” countries, such as Panama, Venezuela, Colombia, as well as English Guyana. Future publications on Caribbean film might also want to approach different (national) productions from a more comparative perspective, which will shed light on common problems and possibilities for colaboration. Also, the attention given to each linguistic area of the Caribbean is somewhat unequal; the number of pages on hispanophone Caribbean film, for instance, is about the double of the sections on other linguistic areas. Finally, it would be great if Explorando el Cine Caribeño would be translated into other languages (such as English and French), so that it can be read by more scholars within the Caribbean and beyond. Since many of the essays were originally written in English and subsequently translated to Spanish, at least an English version of this important book is not just desirable, but could be easily achieved. Copyright Kristian van Haesendonck. This article is licensed under a Creative Commons 3.0 License although certain works referenced herein may be separately licensed, or the author has exercised their right to fair dealing under the Canadian Copyright Act.